Mold and mildew thrive in moist environments, which is why they often show up in your shower. You can clean your shower and have it sparkling -- and mildew free -- with ordinary household products. Mold and mildew can stain your shower. To [remove mold](https://homesteadycom/video-4908479-remove-moldhtml) and [mildew](https://homesteadycom/facts-5073620-mildewhtml) from your shower, create a mixture of 1 gallon of warm water, 1/4 cup of baking soda, 1/2 cup of white vinegar and 1 cup of household ammonia. Wear gloves and apply the mixture to mildewed parts of the shower with a sponge or scrub brush to wash away the mold. If your shower has mold growing in the grout between tiles, you can clean it away with a toothbrush dipped into white vinegar. Scrub gently to remove the stains mildew can leave behind. Always ventilate the area well when cleaning with ammonia. 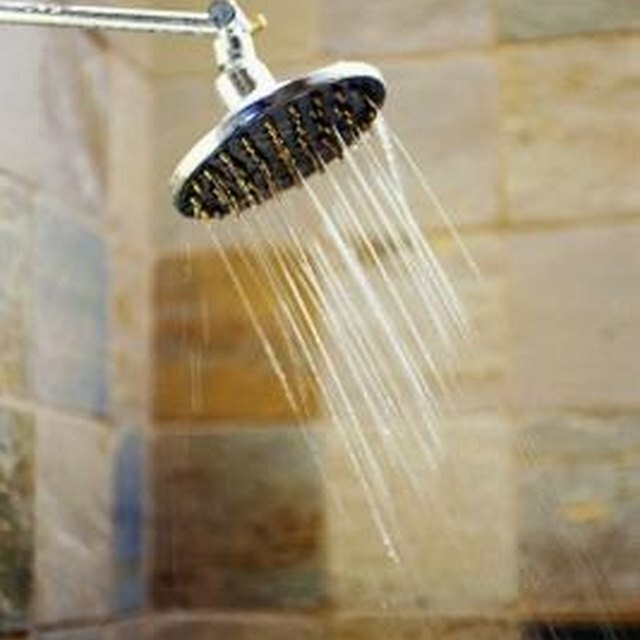 You can prevent mildew and mold from returning by running an exhaust fan in the bathroom whenever the shower is in use. Wiping excess water off the shower walls with a sponge or squeegee will help keep moisture levels in the room low, too.